I have recorded quite a few CDs. 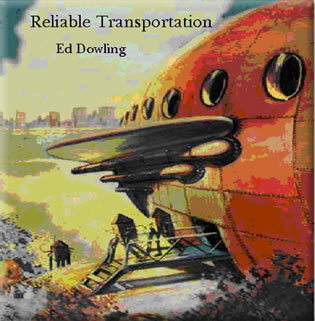 I recommend "Reliable Transportation" - my first cd. 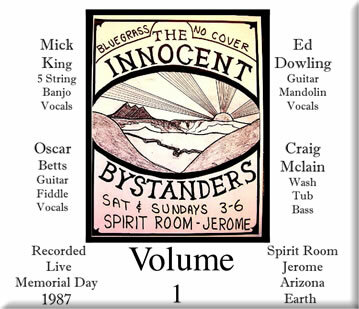 Also "The Innocent Bystanders Volumes I & II" and "Ed Dowling and the Moments Live at the Spirit Room" I played with the Innocent Bystanders for 15 years or so. 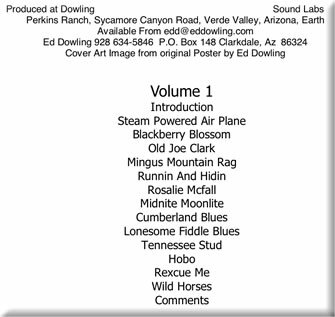 We were a newgrass band with a unique style and sound. 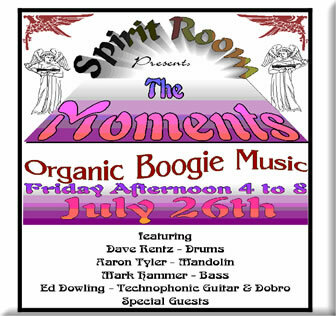 We played every Saturday and Sunday afternoon at the Spirit Room in Jerome, Arizona for most of the 1980's. 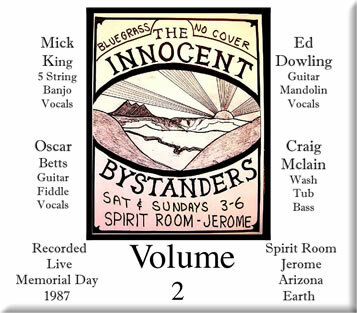 There are some nice original tunes on the 2 CD set which was recorded live at the Spirit Room in 1987. 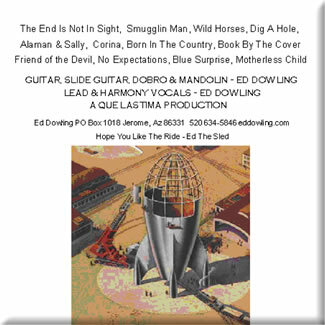 I am trying to provide as many of the tunes as possible for free download and listening. 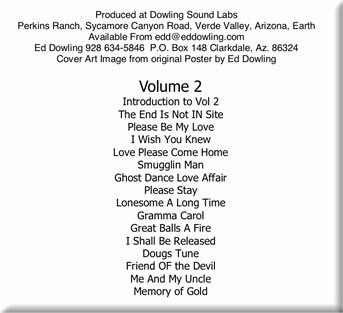 The cds are $10 each plus shipping. 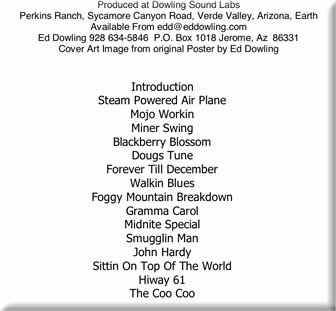 Click on a song title below to listen to that track. A new small window will appear with the MP4 audio file.